As trophies go, you’ve probably never heard of the Hurtado Cup, which is only natural because Friday, May 20 was the first time it has been awarded. This year money raised was for children’s food programs with proceeds split between Nutritional Development Services of the Archdiocese of Philadelphia for use in its summer feeding program and Germantown’s Face to Face, a nonprofit organization that also has a summer feeding program. The Hurtado Cup is named for St. Alberto Hurtado (1901-1952), a Chilean Jesuit priest noted for his work among the poor, who was canonized in 2005. His Hogar de Cristo (Home of Christ) has become a leading charity in Chile. It is appropriate that this year’s Hurtado Cup was won by the Prep’s rugby team whose members visited the grave of St. Alberto during a recent visit to Chile. They raised almost $2,500 of the more than $10,000 netted by the challenge. In fact this is just a fraction of the funds raised for outreach programs at St. Joseph’s Prep annually. That amounts to over $100,000 not including turkeys donated to the school for the annual Thanksgiving Food Drive, according to Bill Avington, the school’s director of communications. 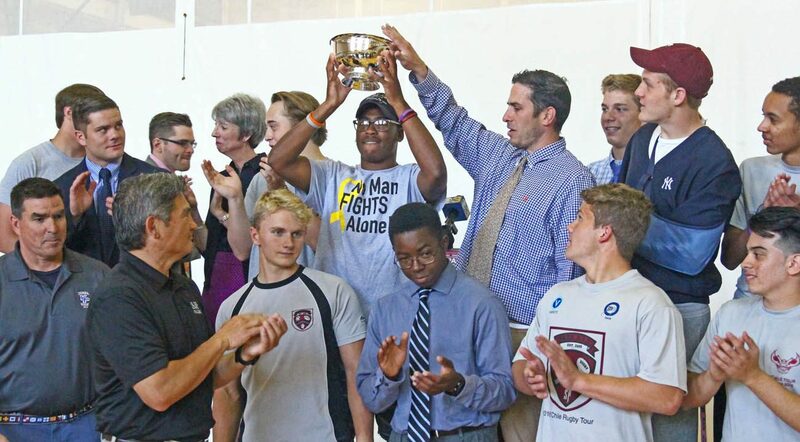 “The Hurtado Cup Challenge is a culmination of a lot of the work that goes on here being done here day to day at St. Joseph Preparatory School,” the president said. The two benefitting charities chose what form the donation would take. Based on the needs suggested, donors were asked to pay the cost for specific items, and these were purchased and given to the charities rather than cash. 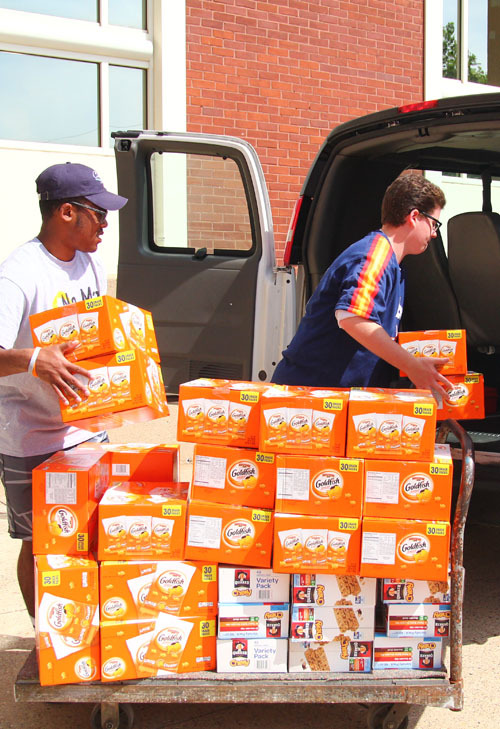 One of those charities was Nutritional Development Services, which distributes food through U.S. Department of Agriculture grants for its summer feeding programs at over 450 sites in the archdiocese. NDS chose to take its share of the gift in the form of such items as tables, chairs, sporting goods and books because some of the sites it serves could be just empty lots and these materials are needed for the programs, according to Anne Ayella, director for community relations for NDS. Over the summer NDS expects to serve more than 800,000 meals: 177,656 breakfasts, 462,218 lunches, 234,667 snacks and 2,479 suppers. Clearly, the result of St. Joseph Prep’s rugby team’s fundraising, and that of all of the other teams, will have an impact that St. Albert Hurtado would appreciate.